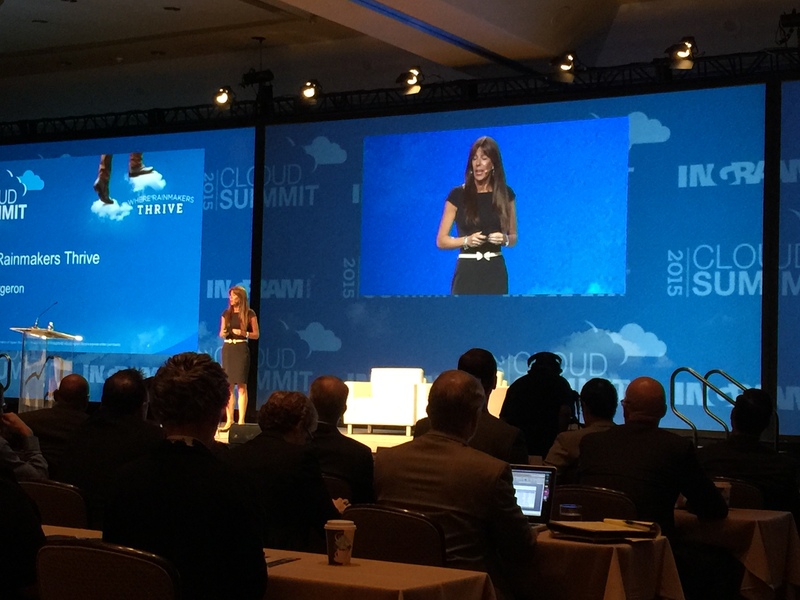 The 2015 Ingram Micro Cloud Summit shifted into high gear this morning beginning with Renée Bergeron, Vice President, Global Cloud Computing, describing what a huge opportunity the cloud is for the channel (e.g. the U.S. alone represents a $35 billion addressable market) followed by offering practical ways Ingram Micro is enabling its partners to make money selling cloud solutions. Ingram Micro understands the struggle IT solution providers face, and it offers (and is continuing to develop) the Ingram Micro Cloud Marketplace to solve cloud complexity. I have a lot of exciting updates to share after attending nine sessions at Cloud Summit today, but for today’s summary I’d like to say a few things about a central theme of this year’s event: the Ingram Micro Cloud Marketplace. The Ingram Micro Cloud Marketplace, powered by Parallels cloud automation and service delivery platform, enables Ingram partners to research, purchase, provision, configure, and manage a wide range of solutions (e.g. Microsoft 365, McAfee, Cirius Secure Messaging, Ring Central hosted VoIP, Nomadesk file sharing) from a single portal. Rather than having to log in to a half dozen portals, manually review customers’ data usage, and create an invoice, Ingram Micro takes care of all that for its partners. Additionally, the Ingram Micro Cloud Marketplace offers a global footprint, so partners can offer a consistent cloud service to their multinational clients with offices in North America, Europe, and Asia with support available in each region’s local language. Another challenge partners run up against with cloud services is managing customized pricing. The Cloud Marketplace supports unlimited custom pricing per customer. 2. Real-Time Provisioning — Set up email, security, file syncing and more in a matter of minutes. In follow-up articles, I’ll share highlights from the other guest speaker sessions (e.g. Robert LeBlanc’s IBM keynote, Judson Althoff’s Microsoft keynote, and Chelsey B. ‘Sully’ Sullenberger III’s amazing story and life lessons, just to name a few). Additionally, I’ll be sharing a message about the key to getting the most value out of the Ingram Micro Cloud Marketplace by taking advantage of a free program called Cloud Elevate. Stay tuned.